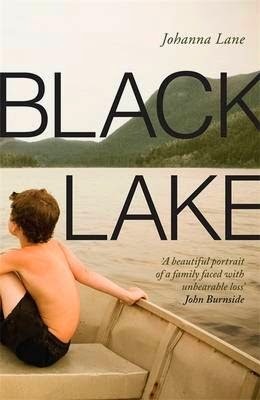 Book Review: Johanna Lane's "Black Lake"
Home » books » read women 2014 » reading » review » Book Review: Johanna Lane's "Black Lake"
The Campbell family lived happily in the grand house at Dulough in Ireland until the financial burden of maintaining such an large estate became too much. Striking a deal with the local authorities, John Campbell decides to open up the house to the public, moving his family into a small cottage nearby and gaining a regular salary for his role in running the place. John, his wife Marianne and their two children, Kate and Philip must come to terms with this change. However, amid the upheaval tragedy strikes, throwing the family's lives into chaos. Johanna Lane beguiles with her debut novel set in rural Ireland. The dramatic landscape offers the perfect backdrop for this story of horrific loss and the novel has a real atmosphere of isolation. This is compounded by the style of storytelling as the events are recounted by Philip, John, and Marianne individually. Each voice is distinctive and intimate, adding to the levels of the novel. The story unfolds with a tragic inevitability as the reader is told of the death of one of their number by the end of the first chapter. In this way, Lane's novel is one of characters rather than plot. We begin to understand that the loss of the house at Dulough has resounding consequences for each of the characters. Young Philip is desperate to recreate a space of his own having lost the childhood bedroom he valued so much. There is a particularly poignant scene in which a young tourist is caught playing roughly with Philip's beloved train set. The boy feels usurped, and suddenly understands that the house no longer belongs to any of them. Lane delves into the family's history at Dulough, including the fabrications and myths perpetuated by John. We get a deep insight into Marianne's relationship with John and how she came to love the estate. It is not so much what happens that makes this story so remarkable, but the way in which it is written. Black Lake is deeply melancholic, and atmospheric with emotional heart. I look forward to reading more of Johanna Lane's writing in the future.